This is a fluke, an animal that you can't plan on producing, and to date, no true line of pure imperator has been genetically inheritable for this trait. Paradox means something existing that should not exist. In this case, albino means lacking all black pigment, thus a paradox albino is an animal lacking all black pigment that has obvious black pigment on it. This little girl accompanied a few snows in the second litter we had this year (Paul Harb and myself) from a dbl het sharp snow x dbl het sharp snow breeding. This little girl is here to stay and I will hopefully grow her up and se if there is any genetic inheritability to this gene. To date, 8/7/08, from animals that originated from my original Sharp strain stock acquired in 97, there has been 3 other breeders who have produced a paradox sharp albino or better. 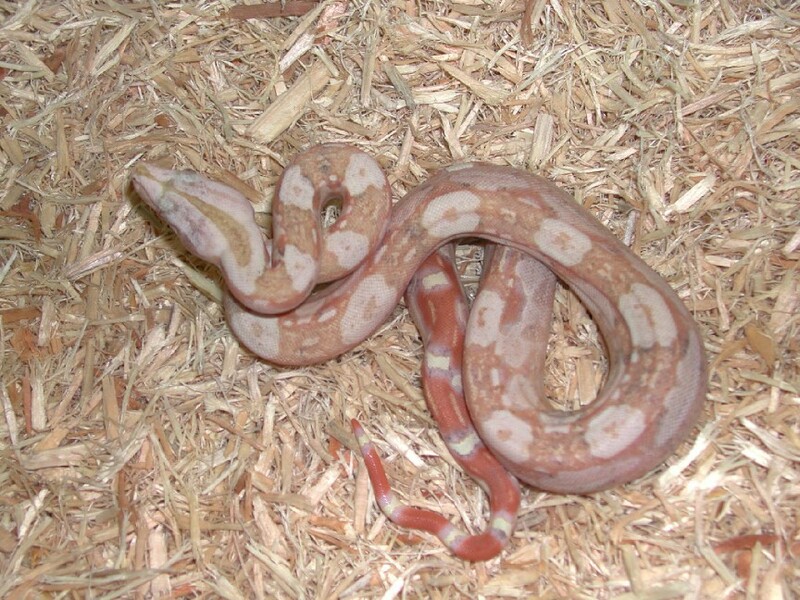 One pastel dream sharp albino paradox, produced in 06, passed away at a few months of age, but she was pink white and had some black areas to her. This year, one paradox Sharp sunglow, orange tail of course, another albino paradox from another breeders snow litter and the paradox albino I produced from the litter mentioned above. here are a few shots of this little beauty. Hopefully she will be around for many years and I can show you how she is progressing.